Great Company to deal with. 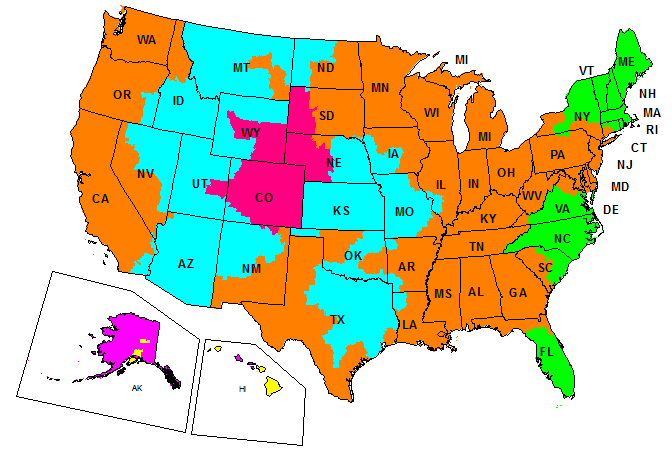 Fast shipping and Outstanding communication throughout the process!! I have a 1991 Evinrude 25 Hp. I always find what I need for it here and they have the fastest shipping. 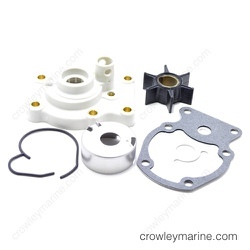 Always consider Crowley for any and all of your marine parts. I got exactly what I needed at a good price and right on time. Quick and easy with the correct parts arriving in record time. Good experience, correct parts delivered on time. 1990 Johnson 25 horse outboard. Excellent. Received order timely and was exactly what I ordered. Two phone calls where required to correct a partial filled order. Shipping was timely and parts sent where the correct parts. Impeller and thermostat replacement. Cooling system flushing. Several U-tube impeller how-to but many searches to find thermostat replacement for this engine. Johnson repair manual vague regarding replacement protocol. Replacement thermostat materials and gasket provided problem solving information. Manual provided torque spec's. Product was easy to find and in stock. Shipped to eastern state in for days. 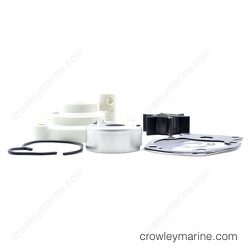 Low rate shipping cost is why I shop at Crowley Marine! Installed new water pump housing and impeller. Good removal and installation direction came with the new water pump housing. That and several internet videos made the job fairly easy. Good to have a second pair of hands and eyes to help with this job. Be careful not to loose the shift linkage grommet when removing it from the shift rod. 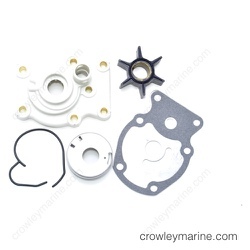 Repaired water pump with Genuine BRP Parts. Instructions supplied with parts are first class.